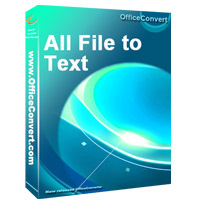 It can simultaneously convert comprehensive files to txt once. Support detaching the pages of DOC/RTF to convert. Support combining the sheets of xls to convert. Create txt with high good quality. It can automatic view the output files after converted.